Websites of course are the greatest tool for your business but if you do not employ an efficient web design company to handle your project, the entire web design project can turn to be a time consuming and very expensive lesson. While checking the experience of a web design company, consider years of operation, number of projects handled and the versatility of the web designing portfolio. The more number of operational years and projects handled, the more confident you can be about the stability of the company and success of your project. Versatile portfolio signifies that the company has an experience to undertake full range of web designing projects with full competency and proficiency within the given deadlines. Don’t be tempted to engage in offshore companies, inexperienced companies or a family friend because what may initially appear to be a cheap option can ultimately be a superfluous deal with frequent edits, redesigning downtime. 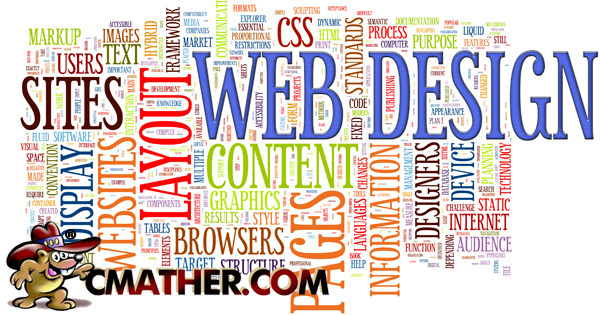 The web designing price range can widely vary. Interestingly, for the same project requirements, different companies may quote completely different prices. So, while selecting an affordable web design company consider services that can benefit your business with customised solutions and ever-ready consultation. Ask questions and demand a fixed price that is free from contract and recurring costs. Take it as an investment for your business and select a reasonably priced service that can later become a money producing tool for your business. Also see point 6. Incessant support from the company can help you save money. When you need assistance with several aspects of website development such as domain name registration, email handling, hosting and content management etc; ongoing local support ensures reliability and piece of mind that youur site is in good hands with professional staff looking after your needs. Support is a key part of getting a website designed online. Someone who you can talk to on the phone 24/7 will help fix all the small problems you may have once the site is online. Make sure that the chosen company builds your website on a popular content management system or CMS. It allows you to edit, upload or manage content anytime anywhere including mobile devices. It is convenient with CMS to add or change the content of the website later as you need. You will also save web development costs, website maintenance and even upgrades as most poplar content management systems build this into their software. It is conducive to keep everything pertaining to your website development and online presence in one place. Ensure that the company is capable of handling everything effectively including graphic designing, domain names, hosting, copywriting and marketing. Generally these services can be offered by multiple companies. Having the entire project in one place will enable you to get faster support instead of jumping from one company to another for advice. Billing is also an easy process once you consolidate all your services into one company. Before you make your final decision, check if there are additional or hidden charges such as recurring charges. Beware of any hidden costs, ongoing charges or any sort of limitations. If a monthly bill is your chosen plan, ensure the hosting, domain name and web design plan is included in the monthly fee. Read the terms and conditions before signing on the dotted line and opt to work with companies that offer a no contract design process. Refer to point 2.
Review the work samples of the company to get a reference about how well the company can handle your project. This will help you draw an outline for what to expect. You can also consider talking to references and past clients. When checking the portfolio, insure the web design company created the site. Fraudulent companies place images and portfolios of other hard working company websites as examples. Sites such as CMather and other well-known companies will not display an online portfolio to help protect customer privacy. For these situations request the company to provide detailed answers to your project requirements. Get examples of competitors or online experience before making your final decision. To avoid any delays and communication issues, all Australian business owners should use Australian web designing companies instead of outsourcing it overseas. Outsourcing is cheaper overseas however Australian developers will understanding your business model and competition markets. If majority of your customers are Australian consider using Australian web hosting servers. Australian servers will load quickly as it’s closer to home. Overseas server although sometimes cheaper have longer delays in support and in most cases slower to respond for Australian customers. In conclusion, don’t choose any available cheap web design company on the expense of poor customer experience. Since website development is an ongoing process, consider partnering with an established and well experienced company. A free eBook is available for download from our Facebook Page. For additional information please don’t hesitate in contacting us via the free call back service 1300 628 437 or email the support desk 24/7.